Someone, please stop me before I preorder this game. Bioware is the best video game company working today, at least in terms of the RPG marketplace. LucasArts is the company behind the greatest trilogy in movie history and the follow-up Star Wars universe. 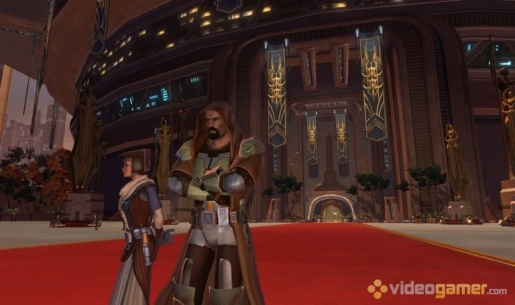 Given the recent death of Star Wars Galaxies, it’s only natural that the two companies should push out even more information on their upcoming MMORPG, to try and hang onto to those few thousand players and get the interest of thousands more. Well, success, everyone. Star Wars: The Old Republic is now available for preorder! There are two flavors of Star Wars for sale. There’s the Star Wars: The Old Republic Collector’s Bundle (with a 111-page booklet, bust of Darth Malgus, map, music CD, collectible tin case and fancy box, and a whole horde of digital features limited to the Collector’s Bundle) and a bare-bones version of Star Wars: The Old Republic. The simple act of preordering the game gets you a pass into the game’s prerelease testing, so it’s worth it to buy it now if you’re going to buy it at all.